OKLAHOMA CITY – John Cloud had to get away from work. Not far, just to his car so he could sleep it off a little. He’d overdone it that morning, pouring a little too much liquor into his Diet Dr Pepper. But before he could get to the garage he was stopped by a police officer. He’d been in trouble for public intoxication before and knew better than to lie. So he was honest and told the officer it was not the first time he had faced the situation and knew he needed help. Instead of arresting him, she told him about the Public Inebriate Alternative, sometimes referred to as the drunk tank. 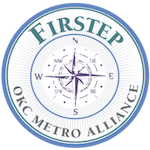 Metro Alliance runs the center for about $300,000 per year, funded in part by a grant from the Oklahoma City Police Department. At the PIA, people can sleep off their drunkenness and get a shower, something to eat and water to rehydrate themselves. The workers there will even wash the person’s clothes.